Congratulations to K. Robbins who placed the winning bid of $2,000 for October's silent auction painting "Village Salpa", by Vladimir V. Filippov, estimated at $3,500- $4,500. 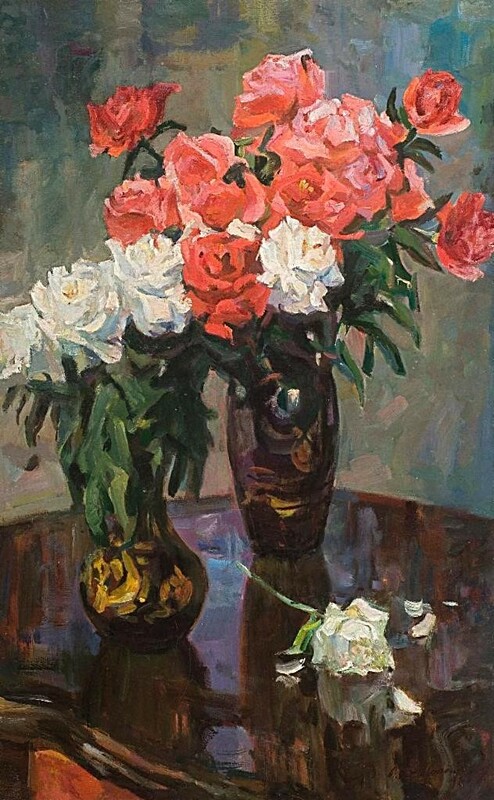 As our November silent auction selection, we are pleased to present a beautiful floral still life, "Roses" by Alexander I. Berergovoy. This is the finest still-life painting the Thomas K. McCarthey Gallery has ever offered in our monthly no reserve silent auction. It is a heartfelt work painted by a premier artist of the Soviet period. The craftsmanship is superb, the composition engaging and the palette rich with strong bold brushstrokes. 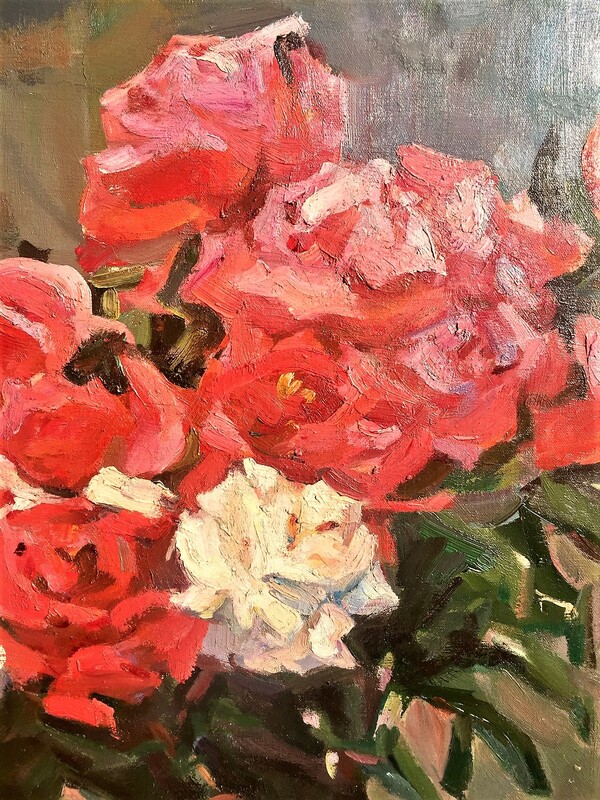 "Roses" perfectly captures the essence and beauty of a vase full of roses in a Russian Dacha. The painting is beautifully framed with an ornately painted, custom hand carved Krieger-Ricks frame. Note: This is a large painting, 44" x 30" unframed and 51" x 38" framed, nearly 4' feet by 3' feet. We invite you to participate in this month's auction and thank everyone who placed bids last month. This is an exceptional opportunity to add a beautiful work by a highly acclaimed artist to your collection. Estimated at $7,000 to $9,000, the current high bid is just $3,000! The next bid is $3,250, followed by minimum bidding increments of $250. Remember, there is no reserve, at the end of the auction the high bid wins! Bids will be taken via telephone, or e-mail until 7:00 pm MST, Monday, December 3rd. Follow all the bidding updates on the Gallery's website. NOTE: I will be traveling and may not be able to immediately respond to messages or send real time auction updates. I recommend that you place your maximum bid and the Gallery will bid on your behalf up to your maximum. By placing a maximum bid you will be assured that you are not out bid at the last minute. This is a large painting, 44" x 30" unframed and 51" x 38" framed, with an exquisite custom Krieger-Ricks frame(nearly 4' feet by 3' feet ). Depending on the distance shipping and crating is likely to be $300 plus. We will happily deliver in the Salt Lake City area. Alexander Beregovoi is an honored Russian/Ukrainian artist and member of the USSR Union of Artists. He was born December 5, 1922 in the city of Simferopol. He graduated from Graduated from Simferopol Art School named after M.S. Samokish in 1948. Hi professor was the noted artist M. Scheglov. In 1952 he graduated from the Kiev Art Institute. Beregovoi was well-known as a happy, optimistic artist in the Kiev art community. His works were exhibited in museums in Moscow, Leningrad, Kiev and Kharkov. From 1960 - 1984, he was a professor at the Art Institute in Kiev. He participated in the art shows in Belgium, Italy, Poland, Finland and Sweden. He was a noted landscape and portrait painter an author of genre paintings. He was a master of still lifes. 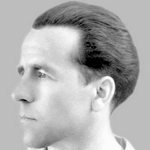 He fought in the Great Patriotic War and was awarded many orders and medals for his service. He Participated in city and republican exhibitions (1950). Major works: "Ukrainian girl" (1954); The Brigadier (1955); "After Work" (1957); "Tractor driver" (1960); "Weeding" (1960); "Hot Day" (1960); "The first drops of rain" (1963); Twilight (1970) and others. He lived and worked in Simferopol. Beregovoi died in 1993 in Simferopol.